We have 3-4 parking spaces behind the restaurant. Bus stop 1/2 block west. We offer a family style catering menu. We also are able to do off-site caterings with at least a week's notice given over the phone. Our restaurant is available for private parties seven days a week. Availability is limited and rules and restrictions do apply. Parties must be booked over the phone or in person and there is a spending minimum that will be discussed upon booking. Family owned and operated Italian restaurant with traditional Italian cuisine, Lasagna and Chicken Parmigian, and some eclectic items as well, Pan Grilled Salmon and Gorgonzola Filet. Make it Baked for $2 More! 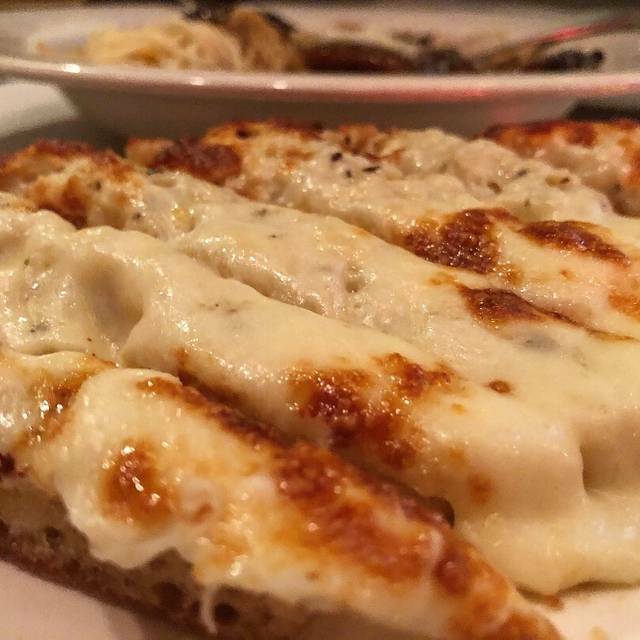 The traditional Italian staple, smothered in mozzarella cheese and baked - Just like Nonna DiFabio used to make! Located in an old house makes the ambience special . We have been a customer since they opened. 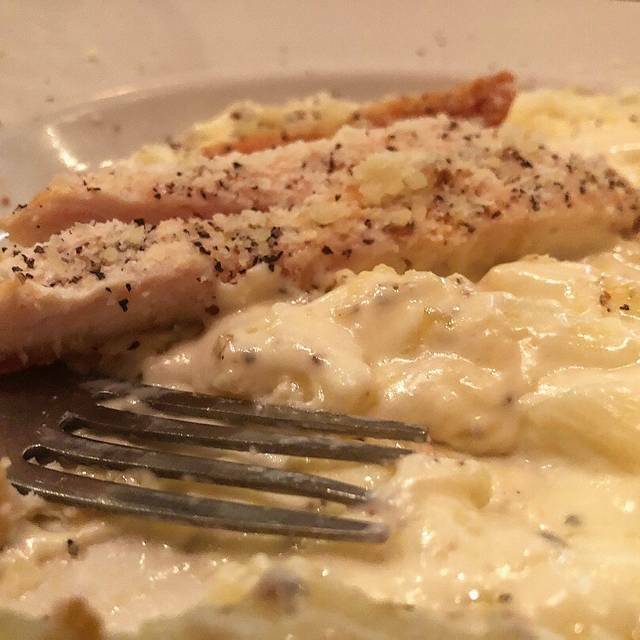 The food is consistently delicious. The sauces are so tasty we return to the restaurant when we visit Louisville. The value remains high compared to similar Italian restaurants anywhere. While the restaurant is very small and doesn't absorb high levels of noise well, the wait staff are very responsive, knowledgeable, and efficient, and the food is very good at a reasonable price. So once a few very loud patrons left, it was an enjoyable experience. DiFabios was fabulous. 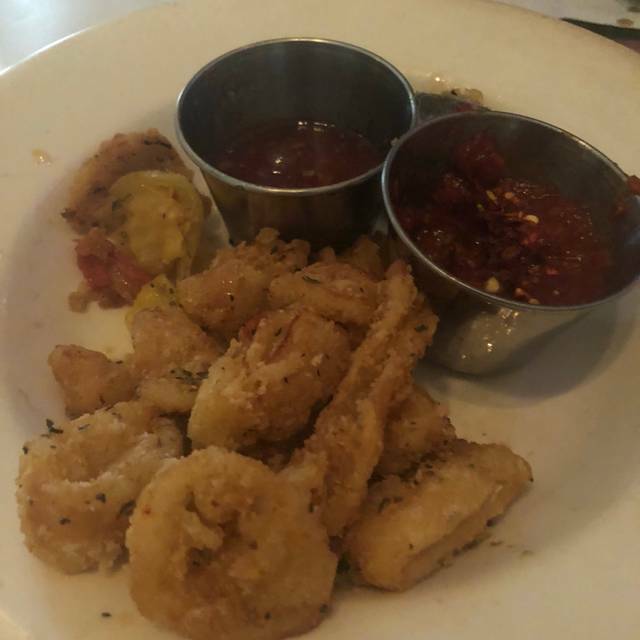 The calamari was fried to absolute perfection. 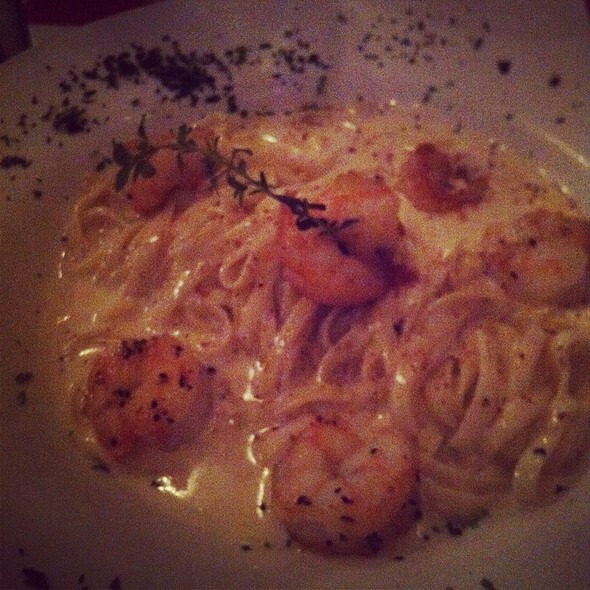 I enjoyed the fettuccine with alfredo sauce with shrimp. The shrimp were like nothing I have ever had. Cooked in butter and garlic, and seared, but extremely tender. My only complaint, if there was one, was there wasn't more, but that's my appetite talking, as am getting hungry just thinking about it. Our waiter, was knowledgeable, and extremely friendly and personable. I look forward to a return visit in the near future. Service and food,, consistently good. However, very noisy and poor acoustics when full or close to fully occupied, making conversation challenging. Great service. Outdoor seating was wonderful on a nice spring evening. Always a wonderful place to eat with friends and family. Disappointed !!! After reading several reviews with 5 star outstanding comments, I expected much more than we got. The dining room was small and seating was cramped. The service was average at best, but friendly. I've been in food business for 40+ years and my background is firmly Italian. I know outstanding when I see it and taste it. I can't speak for the couple we were with, however I can tell you about what my wife and I ordered. The calamary appetizer were a little overcooked, the house salad was ok. The chicken marsala I ordered had a single slice of chicken covered in marsala sauce with a few mushrooms atop a big mound of Angel hair pasta that had absolutely no sauce on it and very bland. My wife's Manicotti was ok....her words.... but not very hot!!! Sorry but doubt we would visit again. Food is always cooked perfectly. Service is consistent and timely. One of my favorite go to’s. One of my local favorites. Chicken Marsala was excellent as was my daughter’s chicken parmigiana. One of the best values for the money in the city. Excellent Italian food. Very comfortable low-key atmosphere. Good service. Caesar salad, veal parmesan, chicken piccata, and chicken marsala were delicious! Marinara sauce was as good as I have had anywhere. Heartily recommend. If you're there when they have mussels as a special, get them!!! Wonderful as usual. Felt nice to be back at our favorite!! Love this place. Food and service are outstanding, ambiance couldn’t be more pleasant, for me anyway. A go-to for my girl and I. The food here is outstanding! I especially recommend the bruschetta and the lasagna. The prices are very good, including the wine. The dining room is small and pretty no frills, but the wait staff is usually attentive and knowledgeable. That being said, I must report that the last time I was there, it took way too long! We were one of the first tables in the place, and it still took an hour and a half. I don't know if it was because we were the first table, or problems in the kitchen or what. We have never had a problem before so we will definitely be going back. Food was wonderful. Service was excellent. Best tiramisu in Louisville! Was skeptical that food could be as good as everyone says for the prices they charge, but it definitely was. 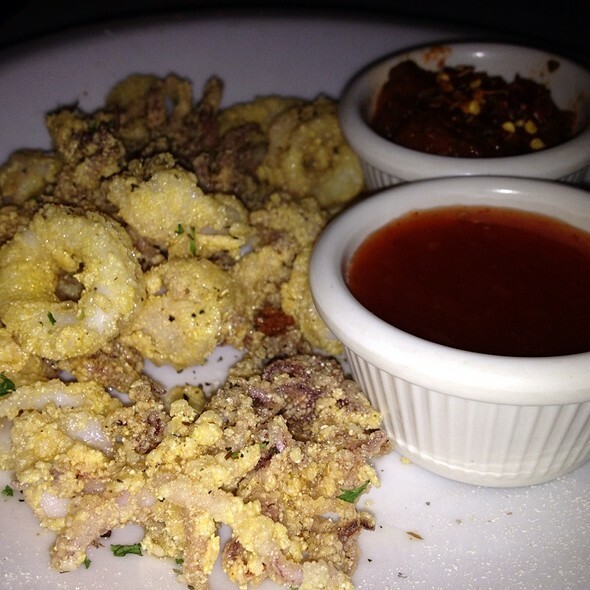 Calamari, salad, and entree all absolutely delicious. Highly recommend. The food is amazing. The service is stellar. The prices are reasonable. The restaurant is cozy and warm. Highly recommended! Food was great ! Service was great; we had a real good time and will be be back!! One of my favorite places anywhere. The food and service are always excellent. Four friends and I went to Difabio's. None of us had ever heard of it before I found it online. It must be a neighborhood secret. Food was tasty, wine was good, and the atmosphere, and noise level, was conducive to good conversation. By the way Casapela is a made up word. 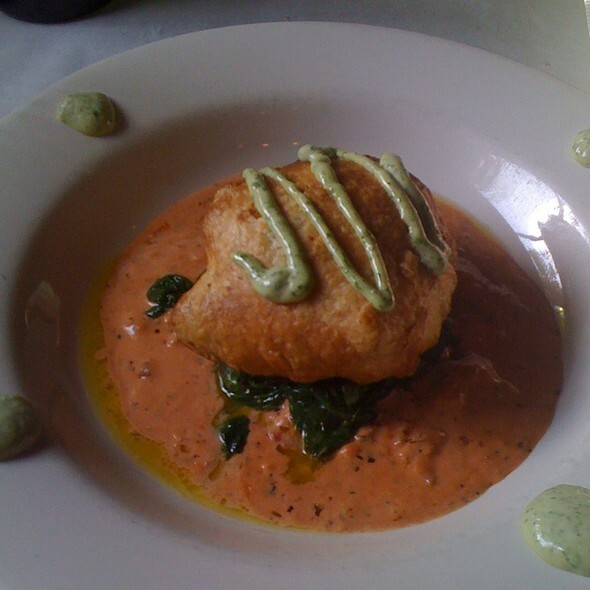 Great food, cozy atmosphere and fantastic service. It is a loud restaurant. This could be due to the age of building/home possibly but it certainly didn’t ruin our experience. Food was quite good. Service was friendly, but not totally professional. We will be returning, the food and service was excellent! One of our new favorite places! DiFabios is absolutely my favorite Italian Restaurant in Louisville. I love everything about it. The staff is so great. I love the atmosphere. I feel like I am eating in a warm welcoming home. It's my favorite Italian restaurant. 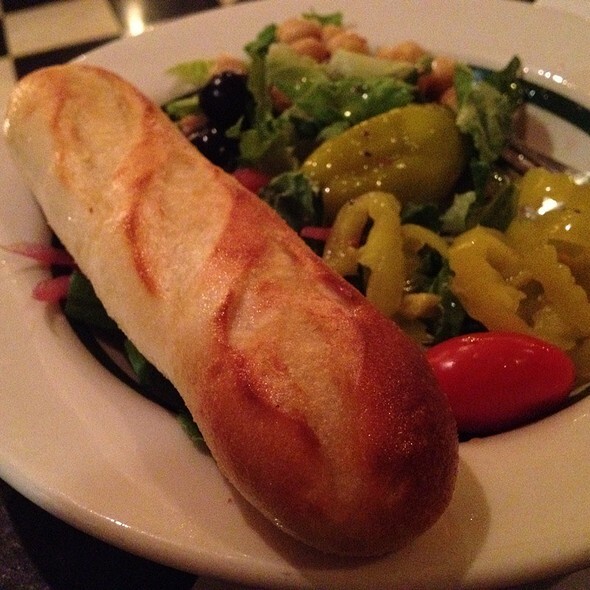 I love the baked spegghetti with meatballs and the bruschetta bread is absolutely amazing. If you actually like olive garden you have to try DiFabios. Beats that place hands down. The food was excellent, and so was the wine. We were seated quickly on Valentines night. However, we did have a later appointment so we would not be seated during the busy hours. And the staff did make it feel as if we were being rushed. Twice by two different servers they asked my date if she was finished with her meal, and sadly she was only half way through. Overall the food was good, I ddI notice the couple next to me, had to wait around an hour and a half for their food, after they forgot their bread. I give it a 2-3 out of five, only because of service and rush. We are frequent customers dining there 2-3 times per month. Wait staff is familiar with us. We had a reservation and arrived on time. We had to wait for a table yet two couples who arrived after us were seated before us. We were taken to our table by a waitress who is familiar with us. She wanted to seat us in the back room along a banquette shoulder to shoulder with other guests. I would have had no problem with this had this been the only available table, but along the way to the back room, we passed two open two top tables in the main dining room. I requested to be seated at one of those tables, and I was denied. Also of note, on our way to the back room, we noted that the two couples who arrived after us were seated at tables in the main dining room. Not a nice way to treat frequent customers. We left without dining and no longer will be frequent customers after poor treatment from the wait staff. DiFabio's Casapela quickly became a favorite restaurant of ours a year or so ago. My wife and I love coming here for a variety of reasons: 1.) 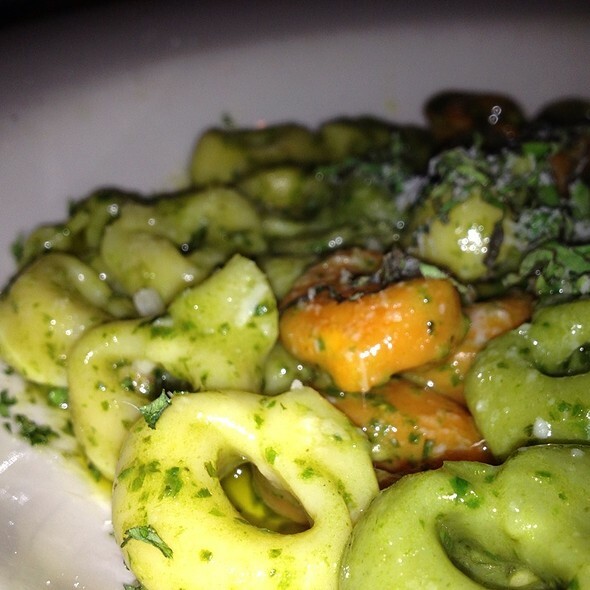 The food is outstandingly ambrosial (especially the tortellini! ); 2.) The setting is warm, relaxing and inviting. Additionally, we like the Frankfort Avenue corridor. 3.) We love the Italian music played in the restaurant...and we also like listening to the live music offered outside on the deck during the warmer months; and 4.) The staff is friendly and helpful. In short, I can't recommend DiFabio's Casapela enough!!! The food was very good. One person at our table did not get what he ordered. The server was very nice but seemed rushed. We were not asked if we wanted dessert. Busy night. Love it! Best lasagna ever! Even better than we remembered from Madisonville! Way to go! Best Bruschetta we have ever had anywhere. Great food at reasonable prices. This was an awesome discovery! I can't believe I had never eaten in DiFabio's before! I can assure you it became one of my favorites immediately. The food was amazing, I ordered a steak and it was beautifully cooked and the appetizers were fantastic. Caleb, our waiter, was quick and extremely professional. The prices were in an appropriate range and the environment is really cozy. We absolutely loved it! Best bread in Louisville. Above average food, fine reduction on filet. Wonderful service, feels like a Billy Joel, “Our Italian Restaurant” experience. Food was awesome! Get the bruschetta! If you want a great place to eat dinner this is the place to go!!! And it won’t break the bank. Even though it taste like you have!! The food was great but the prices a little steep. A party of 4 was $126 - and that was without alcohol. That was a little steeper than I expected based on reviews I'd seen. But would definitely go again. 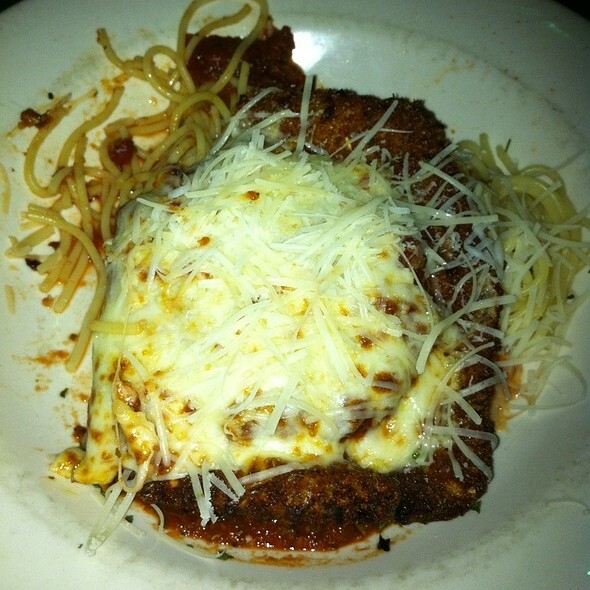 The chicken parm and lasagna are delish!